The remote trigger lets you use a common remote control with your Bit. 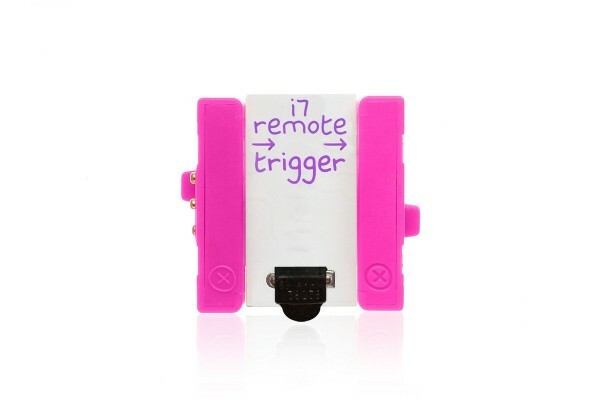 Make your littleBits circuit and point a remote control at the remote trigger’s sensor. Then, press any button on your remote control to activate the Bit. The remote trigger will work with almost any button on a remote that uses infrared light to send signals. Weiterführende Links zu "LittleBits Remote trigger"
Kundenbewertungen für "LittleBits Remote trigger"